Los Cabos Batik Pillowcases. a quiet / mooted paisley Batik print with that Touch of Elegance! 2 Standard pillowcases by Ralph Lauren. Stunning pattern with. 450 Thread Count - 100% Cotton Sateen. See the detail featured. 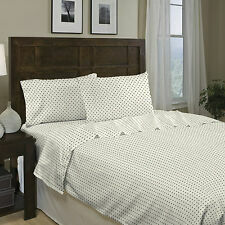 Embroidered King Sheet Set 15" Pocket. I Fitted, I Flat & 2 King Pillowcases. Wrinkle Free Burgundy. Condition is New with tags. Shipped with USPS Priority Mail. 100% Cotton Sateen. One Pair Of Standard Pillowcases 21" x 32". DUNHAM SATEEN. 100% Cotton Sateen. RALPH LAUREN. 4-pc Queen Sheet Set. Extra Deep Fitted Sheet: 60 in x 80 in x 15 in. 2 Standard/Queen Pillow Cases: 21 in x 32 in. 300 Thread Count. Machine Wash.
Ralph Lauren TWIN Sheet Set Dunham Sateen PINK CHAMPAGNE 300TC Retail: $65. 1 QUEEN XDP FITTED SHEET. Pale lilac sheets from Ralph Lauren in luxurious 300 thread count cotton sateen.Hyacinth. Will fit mattresses up to 18" deep. 100% COTTON SATEEN. Also, color variations can occur from one monitor to another and cannot be used to say that an item is not as described. Our 300 Thread Count White sateen stripe Pillow Case are made of a soft cotton material with an elegant sateen stripe. These open end pillowcases are white and have a neatly tailored 2" hem. Material: 100% combed cotton sateen. Calvin Klein Petite Pink Floral 4-Piece Queen Sheet Set. The set includes one flat sheet, one extra deep fitted sheet and two pillowcases. pattern/color: petite pink floral pattern on off-white ground. 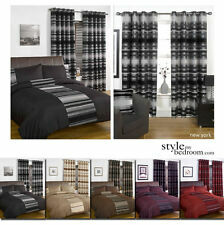 TWIN set includes: 1 TWIN flat sheet, 1 TWIN fitted sheet, and 1 STANDARD pillowcase. Fun sheets with an allover print of construction vehicles in multicolors on a white background. Very soft in smooth cotton sateen. DUNHAM SATEEN. 100% Cotton Sateen. RALPH LAUREN. Charcoal Gray. 4-pc Queen Sheet Set. Extra Deep Fitted Sheet: 60 in x 80 in x 15 in. 2 Standard/Queen Pillow Cases: 21 in x 32 in. 300 Thread Count. XDP QUEEN SHEET SET 4PC. 1 QUEEN XDP FITTED SHEET (Will fit mattresses up to 18" deep). CALVIN KLEIN BLACK WHITE FOULARD COMBED COTTON SATEEN. Combed cotton sateen sheets from Calvin Klein.features a mini black foulard print on a white background. Ralph Lauren Pink Champagne Dunham Sateen Two Standard Pillowcases 300 Thread Count 100% Cotton Sateen Machine Washable Retail: $45. INTERNATIONAL BUYERS: Buyers are responsible for paying import fees as part of clearing parcels through customs. These fees are implemented by Ebay and not the seller. Set includes one QUEEN flat sheet, one QUEEN fitted sheet and one pair of STANDARD pillowcases all in the RALPH LAUREN KATHLEEN YELLOW FLORAL. 100% Cotton 280TC SATEEN. A wonderful coordinate for for many RL Collections such as RL THERESE FLORAL. 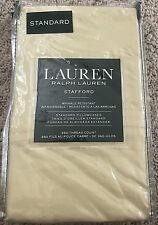 Ralph Lauren Dunham Sateen King Pillowcases 300TC Opal Grey -MSRP$50 2 Pk. This is a beautiful set of 2 Ralph Lauren Dunham Sateen King Pillowcases. The material is 100% Cotton Sateen which is very soft and smooth. Color is a soft shade- Opal Grey. Ralph Lauren manufactures premium quality products that are long lasting. Ralph Lauren Dunham Sateen King Pillowcases 300TC Lilac -MSRP$50 2 Pk. This is a beautiful set of 2 Ralph Lauren Dunham Sateen King Pillowcases. The material is 100% Cotton Sateen which is very soft and smooth. Color is a soft shade of purple- Lilac. Ralph Lauren manufactures premium quality products that are long lasting. I'm Pleased to Offer This Fabulous Vintage Bed Sheet Set by Ralph Lauren! Description: Romantic, Sweet and Cottage Chic Blue Background with a Pink Rose Bouquet Pattern Rare "Garden Cove" Collection Made of 100% Cotton Sateen 300 Thread Count You Will Receive: One Twin Size Fitted Sheet (fits most matresses up to a 14") One Twin SizeFlat Sheet One Standard Size Pillowcase Condition: New in Original Package. Ralph Lauren Solid Hyacinth Dunham Sateen Four Piece Sheet Set. Fabric content is 100% cotton sateen. Machine wash and tumble dry. One queen flat sheet (94" x 102"). 300 Thread Count. One extra deep fitted sheet (60" x 80" x 15"). This is a beautiful set of 2 Ralph Lauren Dunham Sateen King Pillowcases. The material is 100% Cotton Sateen which is very soft and smooth. Ralph Lauren manufactures premium quality products that are long lasting. This is a beautiful set of 2 Ralph Lauren Dunham Sateen King Size Pillowcases. The material is 100% Cotton Sateen which is very soft and smooth. Ralph Lauren manufactures premium quality products that are long lasting. 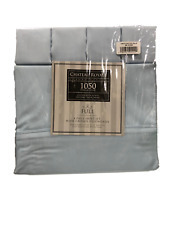 Ralph Lauren Dunham Sateen Azure Standard Pillowcases 300TC Retail: $45. Ralph Lauren Dunham Sateen Azure Two Standard Pillowcases 300 Thread Count 100% Cotton Sateen Machine Washable Retail: $45. INTERNATIONAL BUYERS: Buyers are responsible for paying import fees as part of clearing parcels through customs. These fees are implemented by Ebay and not the seller. This is a beautiful set of 2 Ralph Lauren Dunham Sateen Standard Size Pillowcases. The material is 100% Cotton Sateen which is very soft and smooth. Ralph Lauren manufactures premium quality products that are long lasting. Ralph Lauren Queen Extra Deep Fitted Sheet Grey Dawn. Condition is New with tags. Shipped with USPS Priority Mail. This is a beautiful set of 2 Ralph Lauren Dunham Sateen King Size Pillowcases. The material is 100% Cotton Sateen which is very soft and smooth. Color is Ballet PInk. Ralph Lauren manufactures premium quality products that are long lasting. This is a beautiful set of 2 Ralph Lauren Dunham Sateen Standard Size Pillowcases. 100% Cotton Sateen. Color is a beautiful shade of Charcoal Gray. Ralph Lauren manufactures premium quality products that are long lasting. 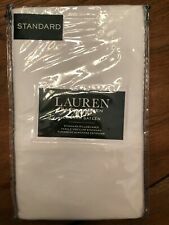 Ralph Lauren Dunham Sateen King Pillowcases 300TC White Smoke -MSRP $50 2 Pk. NIP Ralph Lauren Villandry Sateen Cotton Floral Standard PILLOWCASES 450tc NEW! ~Villandry Floral Cotton Sateen Pillowcases~. Beautiful and Classic Villandry collection from Lauren Ralph Lauren. 100% luxurious Supima cotton in luscious SATEEN finish, you can count on a quality “hand” and look. 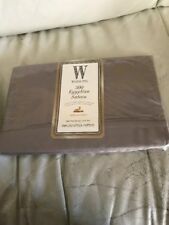 RALPH LAUREN 300TC DUNHAM SATEEN TWIN SHEET SET. ONE STANDARD PILLOWCASE. ONE FLAT SHEET. ONE FITTED SHEET. Luxuriously soft 220 thread count, 100% Imported cotton sateen. Easy Care, Fade-resistant, Machine wash warm and tumble dry on low. 2 Standard Pillow cases. Ralph Lauren Dunham Sateen King Pillowcases 300TC Charcoal Gray -MSRP$50 2 Pk. Ultra-soft 400 thread-count 100% cotton sheet sets with superior breathability compared to cotton blend sheets. Fitted sheets with deep cut corners to ensure perfect mattress fit, fits mattresses from 15" to 17" deep; Care Instructions: machine wash cold, gentle cycle, do not bleach, tumble dry low. This is a beautiful set of 2 Ralph Lauren Stafford Sateen Standard Size Pillowcases. Wrinkle Resistant. Ralph Lauren manufactures premium quality products that are long lasting. 350 Thread Count. The material is 100% Cotton Sateen which is very soft and smooth. Machine wash, tumble dry. ---1 KING EXTRA DEEP FITTED Sheet 78" x 80" x 15" (fits most mattresses up to 18"). ---KING FLAT Sheet 112" x 102". -300 Thread Count. ---2 KING PILLOWCASES 20" x 40". -100% Cotton.